When seeking information about CRM and CTI connectors, Colombil was initally interested in using a local vendor on premise for technical help and support. However, the vendor only specialized in CTI integration, but was willing to develop a specific product for Colombil. After speaking with AMC Technology, they preferred to use AMC’s solution because it was an experienced brand with proven positive results in CRM and CTI integration, despite the fact that help would be via telephone and email. Implementing AMC CTI integration laid solid foundations for a leap in Colmobil’s Customer Interaction Centers behavior and performance. 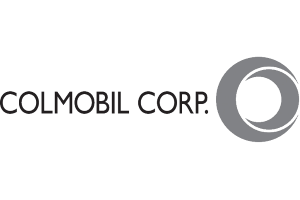 AMC Technology provided the ability for the correct CRM customer data to be automatically delivered to the Colombil Corporation helpdesk agents when they answered a call. Access to caller data while handling the call provided additional efficiencies to call handling that resulted in saving seconds per call. Reducing the time spent on a calls results in an increase in productivity, customer service and customer experience. Integration between the CRM and CTI systems provided agents with call control, agent session management and screen pop technology based on the incoming callers’ phone number. CTI integration provided the agents with call transfers, call conferencing and the click to dial ability inside the CRM. Because these abilities were now available to the agents, they were able to maintain their focus within the Salesforce CRM application for all of the customer service activities. AMC Technology’s solution for open CTI integration provided Colmobil‘s employees the ability to automatically generate cases from incoming calls, improving agents’ productivity and eliminating the need to manually enter or look up information. Agents now have the ability to keep their focus on resolving callers’ questions instead of data entry, which saves the call center valuable minutes and gives the caller a better customer service experience.